All University real estate (land, buildings, air rights, water rights, timber rights, and mineral rights) is owned by Washington State University, not by the administrative unit that is assigned, occupies, or otherwise uses the real estate. The acquisition, disposal, and leasing of all University real estate is coordinated by the Finance and Administration – Real Estate Office. 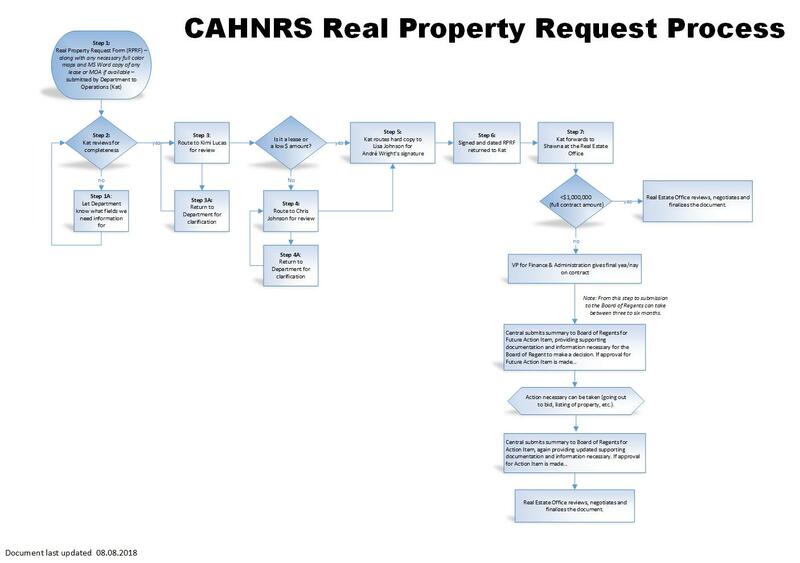 Operations is the central contact and documentation/process manager for all CAHNRS Real Property Requests (submitted through the Real Property Request Form (RPRF).